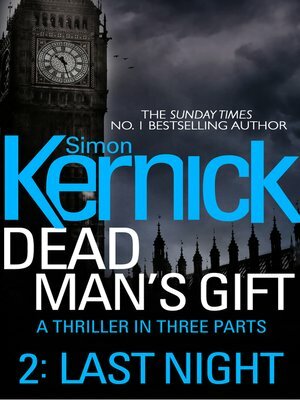 The SECOND direct to digital short-story in a race-against-time three-part adventure from the bestselling author of Relentless, Siege and Ultimatum, Simon Kernick. MP Tim Horton is waiting to hear from his son's kidnappers. Knowing he's being watched, and too scared to go to the police, he contacts the only man who may be able to help him, his brother-in-law: an ex-soldier called Scope who has a reputation for sorting things out and getting things done .